Originally published on Collectively.org. Some photos mine, copyright protected. If you’ve ever been a server, chances are you’ve watched your day’s wages disappear when snow or rain starts coming down hard, and all the reservations cancel. If you’ve ever been a line cook, most likely you’ve bitterly wondered why, with your culinary degree and rock-star knife skills, you’re earning the same hourly wage as the 19-year-old hostess who spends her time texting behind the podium. 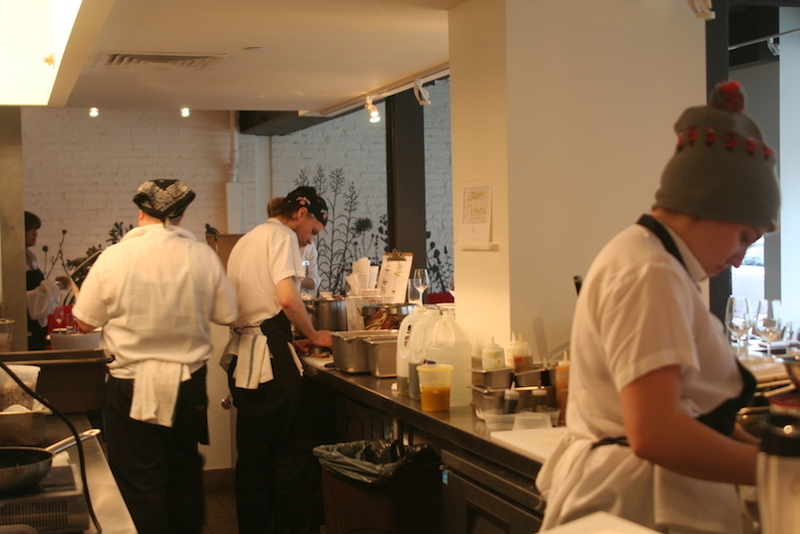 Last fall, the Economic Policy Institute reported that 40 percent of restaurant workers live in poverty. And on top of providing low wages — maybe $12 per hour for a line cook in any critically-acclaimed restaurant in cities as expensive as L.A., New York, or San Francisco — very few restaurant jobs offer benefits like health insurance. 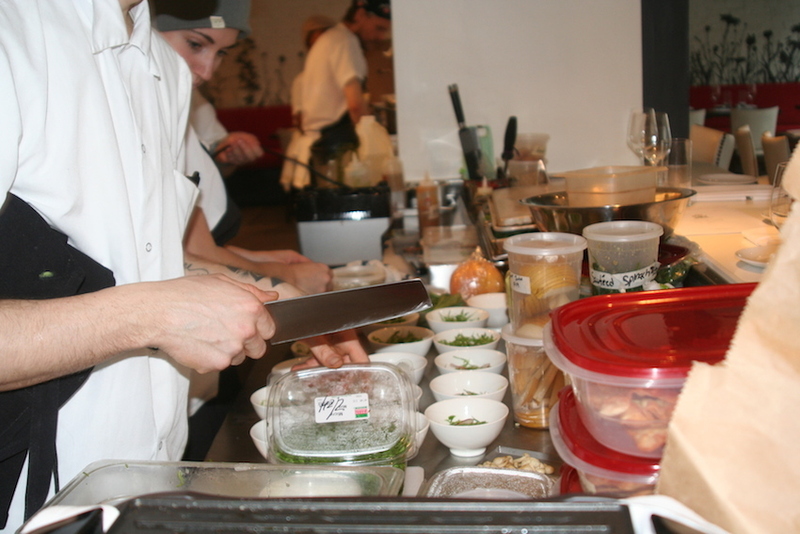 Yet, many people, have chosen to pursue these careers because they love them and have culinary or service talent. One chef in New York City is taking a stance against the unfair employment structure that pervades restaurants across the country. Amanda Cohen’s vegetarian restaurant, Dirt Candy, recently re-opened in a new space, with an unusual proposition: no tipping. Instead, diners will pay an “administrative fee” of 20 percent on top of their meal price. Cohen’s workers are paid between $15-$25 per hour, with the exception of managers, who are salaried. 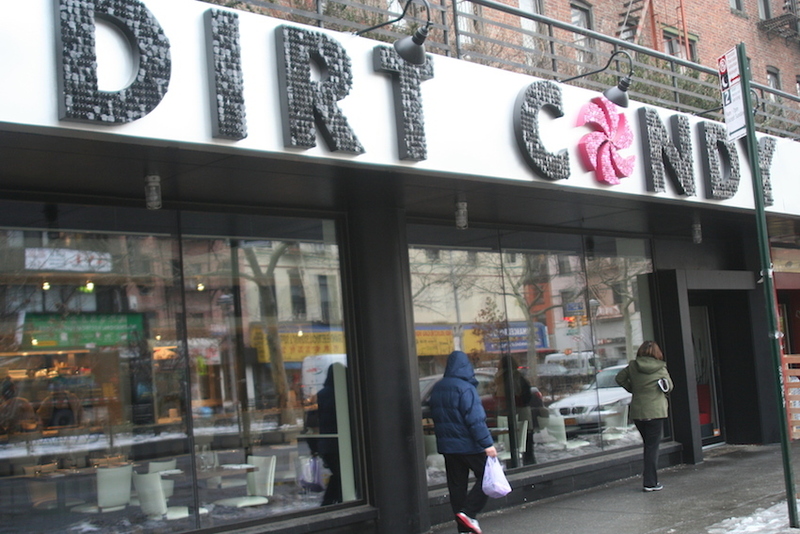 Dirt Candy has been around Lower Manhattan since 2008, and is beloved for its innovative, fresh, quirky and colorful vegetarian cuisine. Cohen and the restaurant display a somewhat punk-rock ethos, always doing something a little different than the herd. 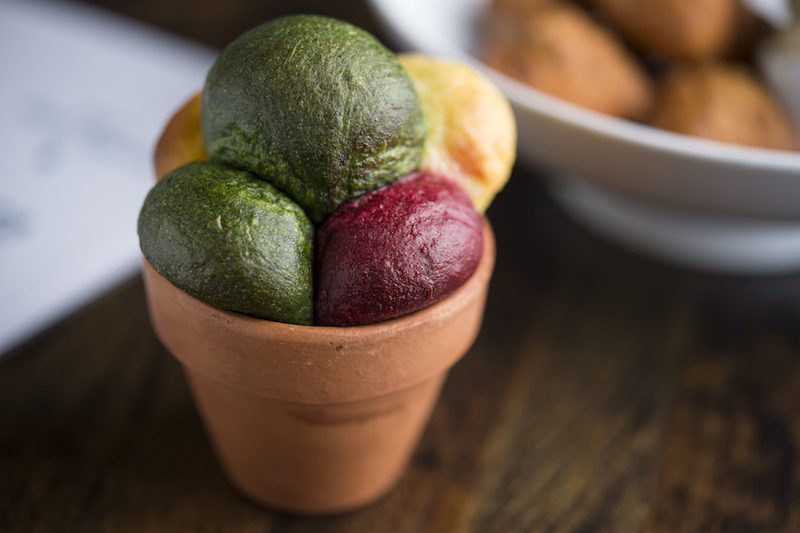 These days, it seems like Dirt Candy is part of a movement toward “veggie-forward” cooking. In the month since Dirt Candy’s re-opening, diners have been questioning their servers non-stop — but to Cohen’s surprise, there have been no complaints, and nobody has refused to pay the administrative fee. Does this mean that other restaurants will soon be following Dirt Candy’s lead? Restaurant workers out there certainly might hope so — but diners may take a little longer to adjust. That’s because American diners and chefs alike have become accustomed to an artificially low price of food, Cohen says. People have asked her, why not just increase the cost of your food? 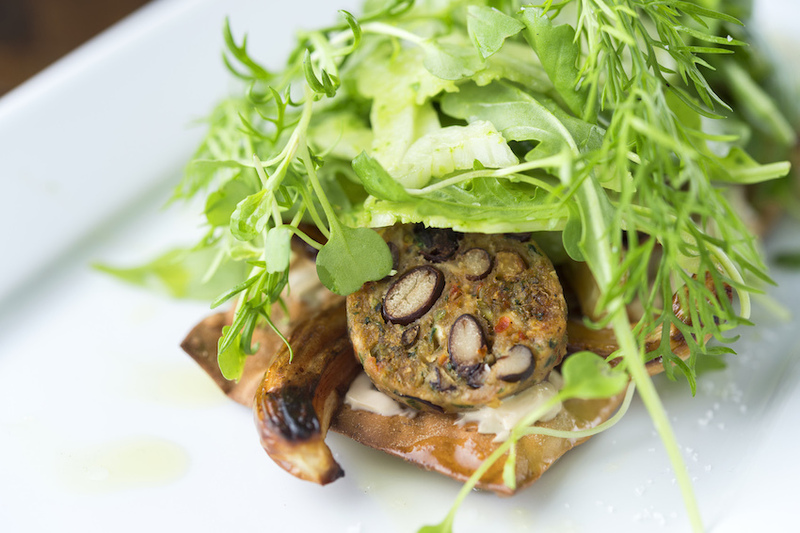 But even in New York City or San Francisco, can you imagine anyone willing to drop $40 for a vegetarian entree? That sentiment is indicative of larger problems within the restaurant industry, and it’s only going to get worse as our food culture continues to grow as quickly as it has been over the last few years. But if people like Cohen continue to take a stand, we can shift things, in a more sustainable direction. The industry pay structure is flawed because restaurateurs and chefs don’t “believe people will pay enough for food,” Cohen explained. “So we don’t have health care, maternity leave, benefits. Every other job you pay for it, it’s built into the system” — whereas restaurateurs aim to keep their costs as low as possible. Andy Ricker, the chef-owner of Pok-Pok, which has locations in NYC and Portland, recently spoke to Eater about why he is worried about the rising minimum wage for tipped workers in New York — precisely because of the problem of keeping costs low and quality high. In Europe, it has long been the norm for servers to receive salaries and benefits; while this, of course, provides better job security, it also has meant that diners don’t necessarily enjoy the kind of service they might receive in situations where tips are motivators. By contrast, fine dining in the U.S., and increasingly casual dining, has prioritized service to an extent that can be a little bit overdone, in some cases. “The customer is always right” has become the adage that sends many a server into a utilities closet to let out a blood-curling scream after a table of tourists bossed her around for an hour, sent back three dishes, demands more condiments every five minutes, and then left a 10 percent tip because they “didn’t know” that it was customary to leave more. And servers who dare to speak back to customers will surely be let go, as there is no job security. Meanwhile, kitchen workers labor for 12-hour days and still bring home less than the front-of-house. 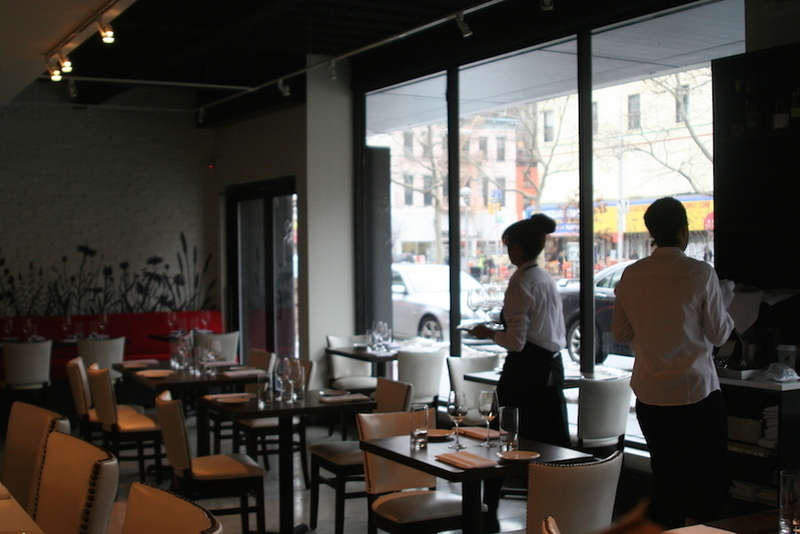 But even outside of Amanda Cohen’s beautiful new restaurant space, things do appear to be changing. Minimum wages for servers have been going up in New York and other states, and a slew of others are working toward this as well, including Pennsylvania and Connecticut. 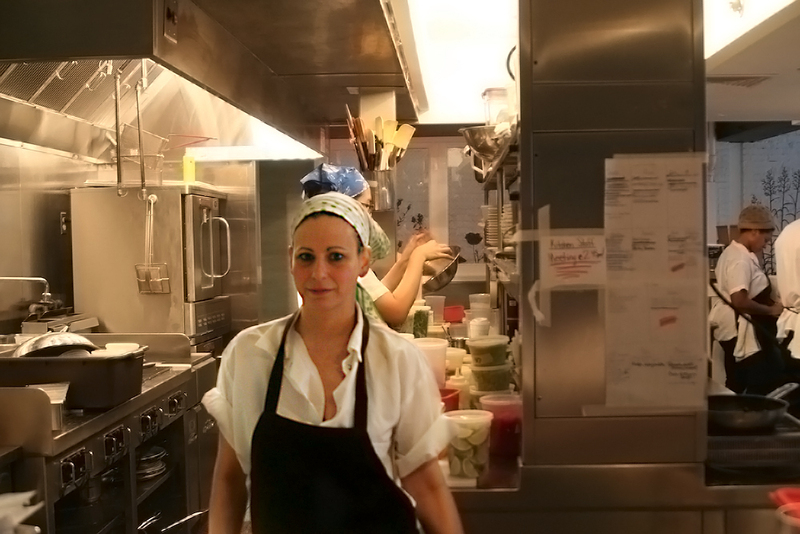 For Cohen, this wave of change comes out of a generation of young chefs and restaurateurs who just recently were themselves working the line, while making $15 an hour, living in a tiny, cramped apartment with roommates. And it’s this generation, she believes, that will continue to fight for a more just, more sane, economic structure in the restaurant industry. “I’m probably not going to change the world on a macro level. But on this tiny little micro level I can change the lives of the people who work for me. And I think that’s really what other people need to do – look out and say, hey, I’m responsible for all these people, how can I make their lives better so that we are all working toward a better standard of living, for everybody,” said Cohen. In recent years, food politics were all about ingredients — locavorism was the ultimate hallmark of correctness. But Cohen doesn’t necessarily freak out about whether her veggies have been poisoned by some pesticides. “I buy organic when I can. We support farmers and farmers markets when we can, it doesn’t mean it has to be every single product that comes into your kitchen,” she said.